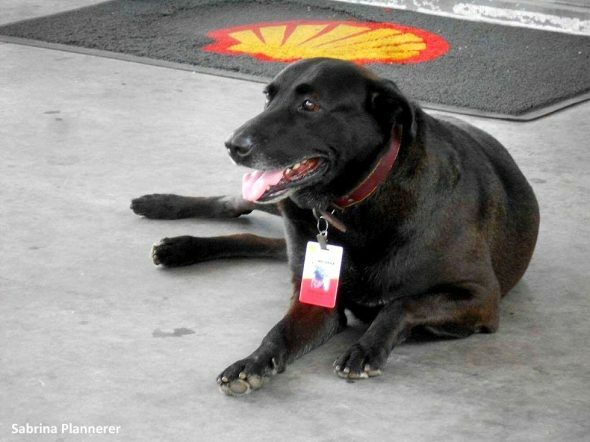 When a dog was dumped at a gas station in Brazil, rather than shoo him away, one of the owners adopted him. 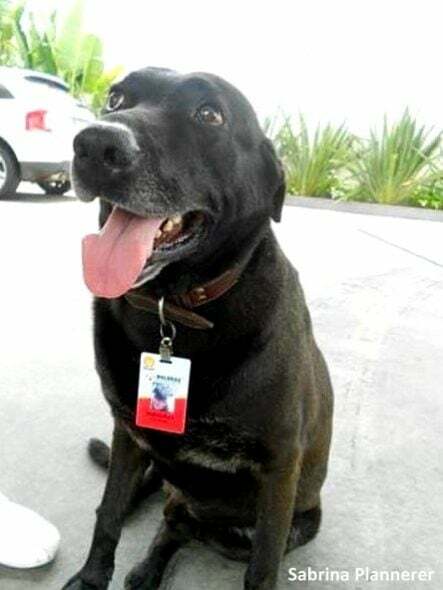 And rather than have him stay at home all day with nothing to do, she made Negão an employee – complete with an official employee badge. 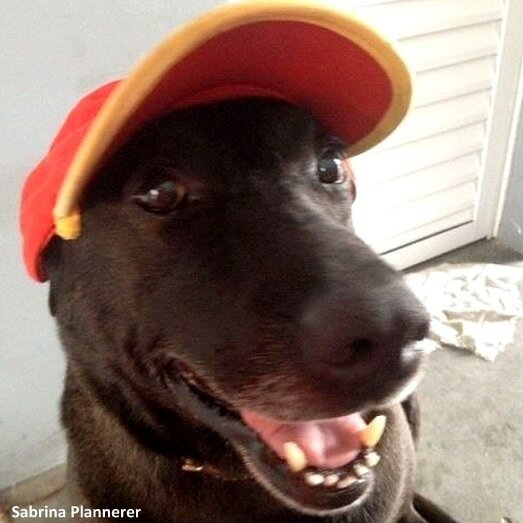 About two years ago, Sabrina Plannerer and her partner bought a Shell gas station in Mogi das Cruzes. It was being renovated, and one day she noticed a dog wandering around the site by himself. He was scared and refused to leave, so Sabrina decided to give him a home. 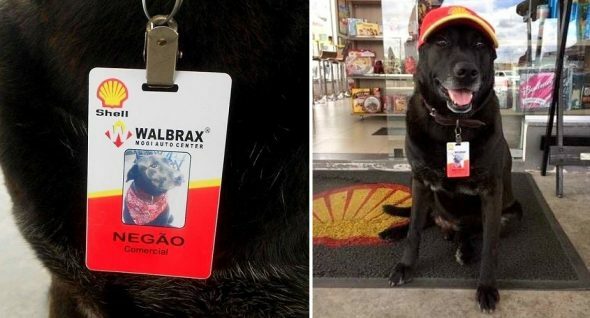 When the gas station reopened for business, Sabrina wasn’t sure how Negão would handle the steady flow of customers, but he demonstrated himself to be a real people person. 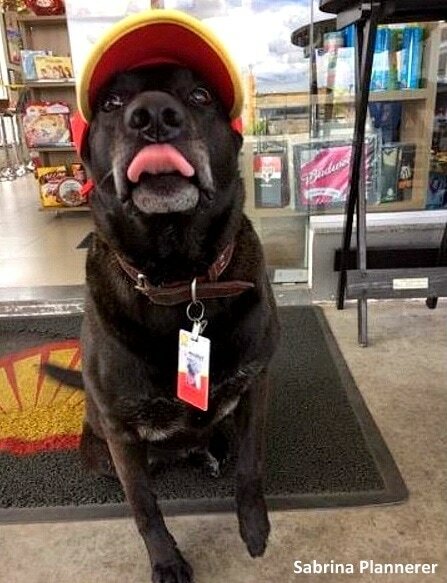 Though he’s not very good on the register, he earns his keep as the official store greeter. The store is open 24/7, so there’s always someone around to keep him company and take him for walks. Because of his permanent home at the gas station, he’s become a poster dog for local animal welfare group Grupo FERA, who strives to have businesses adopt dogs when more traditional homes cannot be found for them. Sabrina concurs, and hopes that her floof will inspire other businesses to do the same – they might even gain a few more dog-loving customers! Raven was too Scared to Come Out of Her Cage at a Shelter, Now She Just Wants to Love EVERYONE!